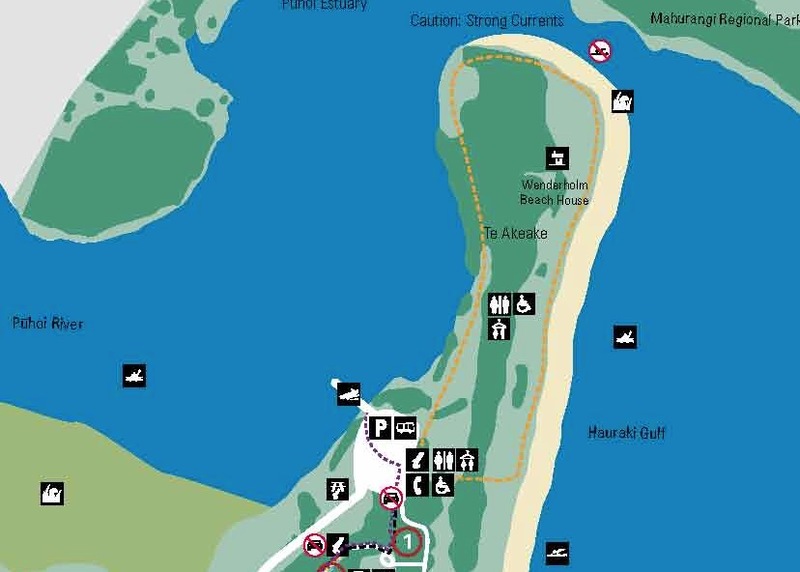 Walking Track – The Te Akeake walk provides a picturesque exploration of beach and parkland. From the car park walk to the beach, head north and enjoy the atmosphere. Te Akeake is the area at the end of the sandspit headland. 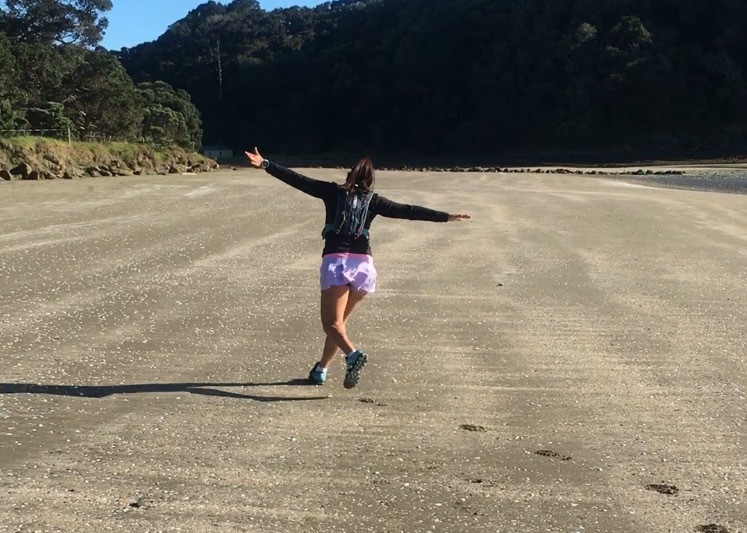 Walk back along the Puhoi River side of the park to the car park. This is a flat walk and great for most prams. 1.0 km. (Source). OK I’m just going to say it .. I think it’s “far reaching” to call this a walking trail. Even if you put up color coded poles. 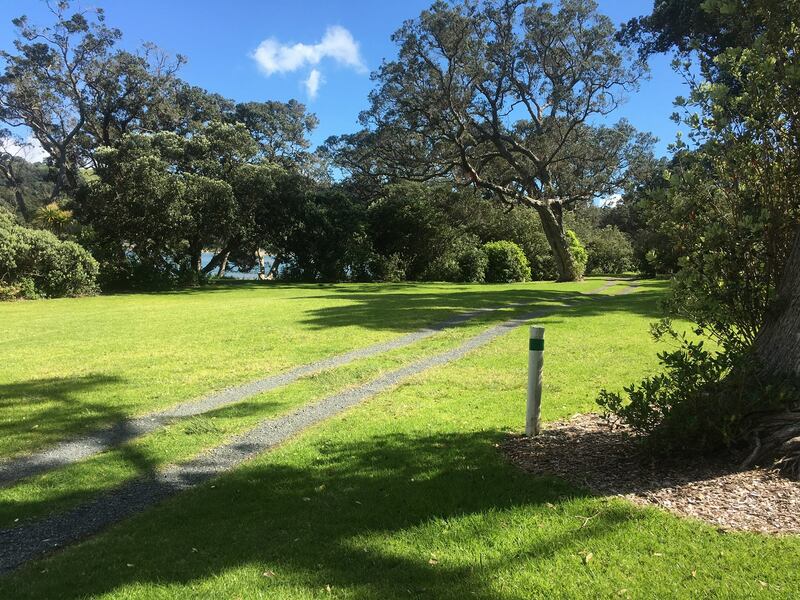 Basically you follow a disused drive way to the end of the headland (on the Puhoi River side) and come back to the car parking area along the grass on the Hauraki Gulf side of the headland. It helped that the morning James and I went to Wenderholm we were the first foot steps on the beach – I love it when that happens. 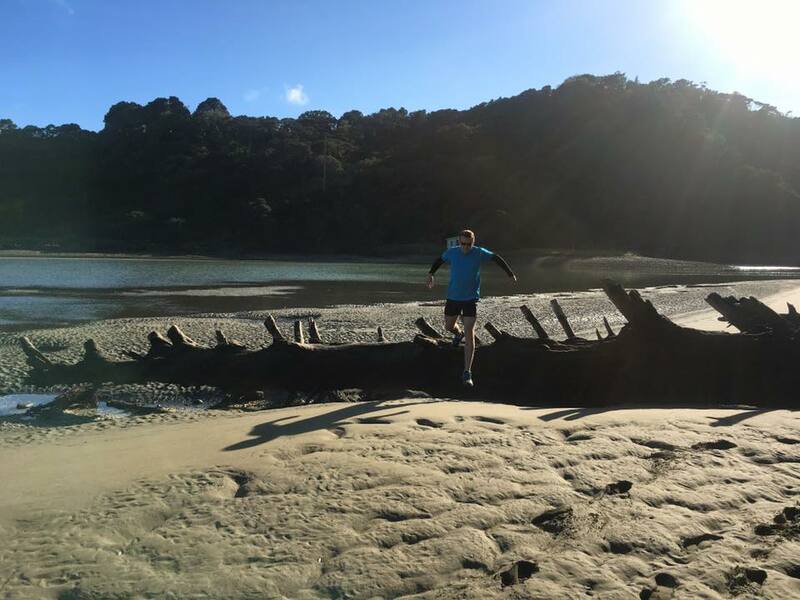 On a positive note if you walk around the headland along the sand it’s a beautiful beach walk however not at all pram friendly if you do it this way, especially on the Puhoi River where the surface underfoot is very soft and you have to get over (or squeeze around) a large fallen tree. Directions – Take the Orewa/Waiwera exit (394) from the Northern Motorway (SH1), just before the toll motorway commences. Drive north along the old state highway and enter the park on the right, just north of Waiwera. Parking? – Yes – I’d suggest you park at the end of the driveway (near the boat ramp). Toilet Facilities? – Yes, the “walking track” passes a toilet block and there are two others in the park. Kid Friendly? – Yes! Definitely!